to raise awareness of and to promote education about using metric measurements, Alliance for the Advancement of Technology observes AAT metrication month, during the tenth uniform month X, of common year UCN 12019 (UCA 2019), days 271 to 300 (AD 2019 September 28 Saturday to October 27 Sunday). read more about the International System of Units (SI) and the Integrated Chronological Applications System (ICAS) at www.aatideas.org. the official AAT web clock DialTiros 0.03 runs as a Java applet. AAT is reviewing the AAT ICAS standards for a forthcoming update . 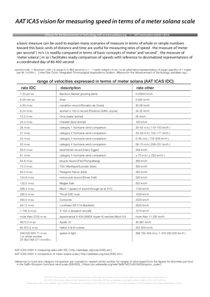 for Metrication Month 12018, take an advance view of new content for AAT ICAS 2090 and 2092 documents in the project Mercury update about measuring speed in terms of a meter solana scale . for next year , AAT anticipates adding updated metrication facts as the SI kilogram is expected to be defined in terms of physical constants rather than a physical prototype . 1 page, formatted for A4 letter. in addition to understanding metrication facts , it is also important to recognize myths and fallacies about measures . 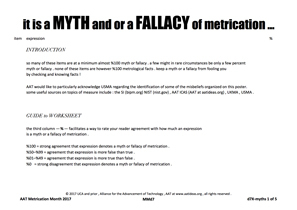 the poster and worksheet highlights a number of various myths and fallacies concerning metrication . 5 pages, formatted for A4 letter. the ICAS Uniform Calendar uses the same formula for calculating a leap year as the Gregorian calendar. however a leap day is tabulated differently in the Uniform Calendar, occurring on the 366th day of a leap year. with AAT ICAS, short form encoding of year can be both alphanumerically and chronologically sortable for up to 200 years. what is an ICAS approach to the future of a UT time scale? an ICAS approach to UT ? a compilation of metric fun facts. three posters charting Celsius temperatures and the corresponding integers of Fahrenheit. the AAT ICAS poster for metrication month NC 12011 depicts an ICAS comparison of rates in terms of meter solana. the AAT ICAS poster for metrication month NC 12008 describes guidelines used by Alliance for the Advancement of Technology for writing and for communicating both large and small numbers in terms of metric prefixes. 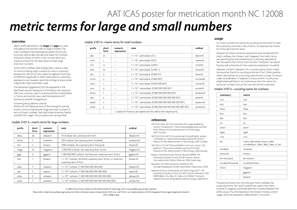 AAT ICAS poster series for metrication month are provided as pdf documents at no charge. 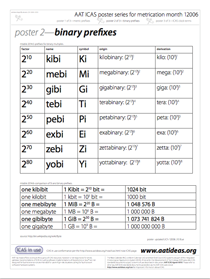 1 page, formatted for ISO A4 letter and US letter paper sizes.
! 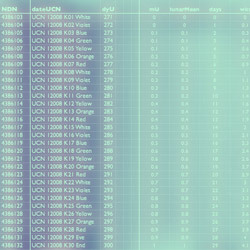 updated UCN 12008 J10 Blue ! stock your metrication kit with a current year Uniform Calendar organizer and other bonus materials described on this page. AAT ICAS calendar organizers can be downloaded at no charge from the AAT web calendars index. Uniform Calendar organizer booklets are conveniently formatted with plenty of useful New Calendar and Uniform Calendar information. calendars also feature day-of-year and traditional Gregorian calendar information for each day of week. print them as you like at no charge however some assembly is required. browse the AAT web calendars index for various 'ICAS now' spreadsheet resources (including CHARTdateEPOCH). AAT distributes a few samples of ICAS software at no charge via 'ICAS now' open-source under terms of 'ICAS in use'. Java source code for the DialTiros web clock applet is available from the web clock area of this web site. 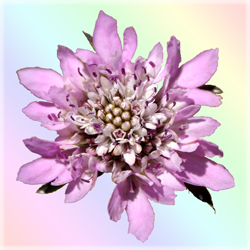 the clipboardICAS and foldatimeICAS AppleScript applications (and script source codes) can be downloaded from the AAT ICAS code library. members should also consider the ICAS reference and display documents (and the AAT ICAS web site) provided at no charge as an important part of an ICAS metrication kit. AAT ICAS products are not available for purchase at this time. the freeware however represents an excellent do-it-yourself value. parties with specialized needs should contact the ICAS department of AAT. provides an introduction to both the AAT technology timeline and the AAT cosmological timeline charts. document edition 12004E29 provided by aatideas at no charge. See the technology timeline area for timeline compilation notes. looking for a chart suitable for a history of technology? then set up a display of the AAT technology timeline. 1 mm of the AAT technology timeline corresponds to 1 New Calendar year. 61 document pages span 12 200 New Calendar years across 12.2 meters of display. document edition 12004E29 provided by aatideas at no charge for use in coordination with the AAT guide to timelines. 61 pages, formatted for ISO A4 letter and US letter paper sizes. looking for a chart suitable for a history of cosmological, geological, or biological events? then set up a display of the AAT cosmological timeline. 1 mm of the AAT cosmological timeline corresponds to 10 000 000 New Calendar years. 11 document pages span 22 gigalennia (22 Gium) across 2.2 meters of display. document edition 12004F03 provided by aatideas at no charge for use in coordination with the AAT guide to timelines. 10 000 000 times bigger than the technology timeline! 11 pages, formatted for ISO A4 letter and US letter paper sizes. the forthcoming overview provides general information about the SI and ICAS modules of metric units. Features conversion data for many common quantities of time, reducing the need to make cumbersome calculations. however document does not contain the calendar conversion information provided in the AAT ICAS metrication kits. document edition forthcoming provided by aatideas at no charge. 000 pages, formatted for ISO A4 letter and US letter paper sizes. the forthcoming AAT ICAS whitepaper provides an overview of what is likely the leading initiative for the development of metric time standards. contents include an ICAS standards overview, vocabulary, and series tables of contents. document edition forthcoming provided by aatideas at no charge. be prepared for an upgrade to uniform scales of date and time. with ICAS resources, you will be more prepared for emerging uses of time scales decimalized to a main unit of 1 day.